Their design is not typically Scandinavian – it is experimental: However, the fact that the Front ladies are a step ahead in the male-dominated world of industrial design certainly reveals their Swedish character. 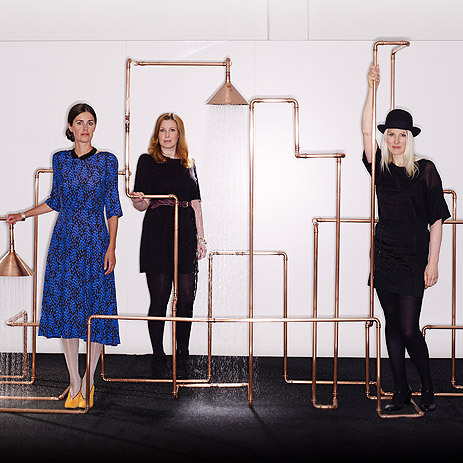 Emancipated and inventive, Anna Lindgren and Sofia Lagerquist are making their mark on the design world. 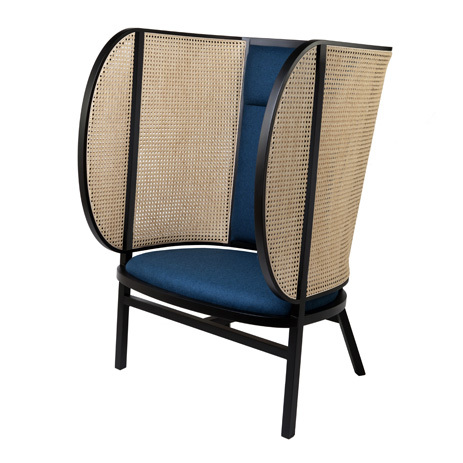 Their customers include Moroso, Porro, Moooi, Established & Sons, Kvadrat, Stelton and IKEA. Front Design is a design studio that is in demand all over the world, and one of Sweden’s most successful design exporters. The inventive pioneers enjoy playing with visual effects and their designs aim to provoke, at the same time creating poetic worlds. They love to tell surprising and at times disturbing stories through their works. Their work is inspired by fashion, film and science, with blurred boundaries between interior design and art. The trio use experimental design processes, with rats, dogs and robots generating designs. The designs play with visual effects, they provoke and they are the result of mutual discussions as part of a team effort. 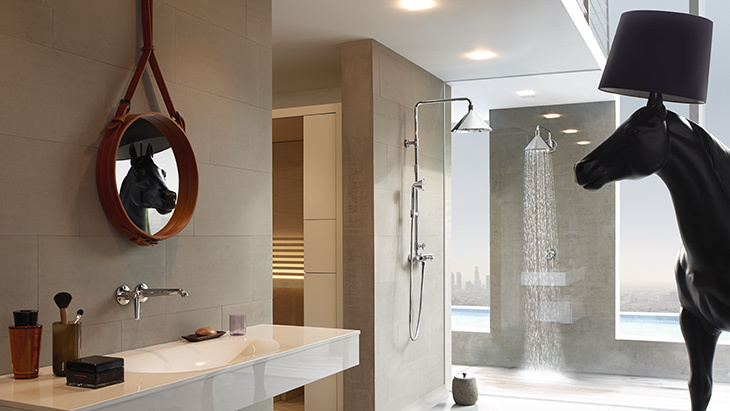 The hidden aesthetics of the technology in the shower Collaboration between Front and Axor began in 2013 with an Axor WaterDream. “We wanted to highlight the hidden aesthetics of the technology in an elegant way and create a charming design object out of the tubes, vales and funnels”, explained the designers. 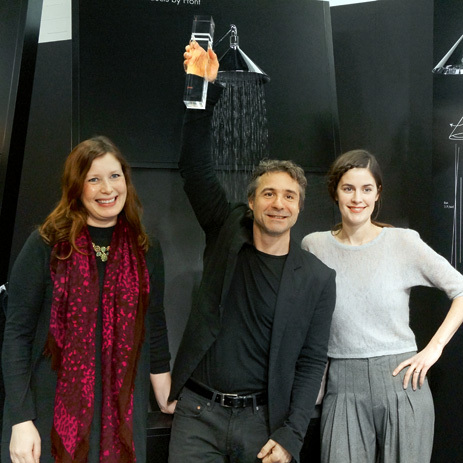 The installation led to the and the Axor ShowerProducts, which won Axor and Front the German Design Award 2015. The prize is only awarded to the German Design Award 2015. 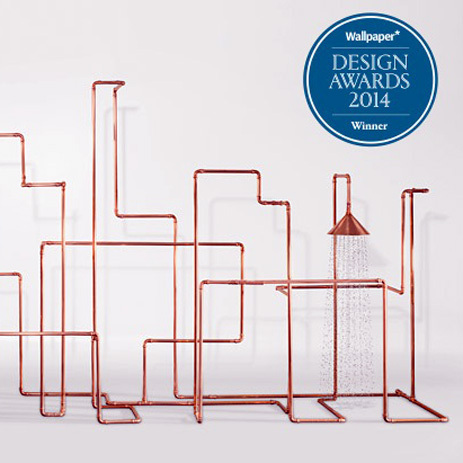 The prize is only awarded to products that represent unique design trends on the international design scene. Other awards won by Front Design: “Designer of the Future” Front Design: “Designer of the Future”Art Miami Basel 2006) and “Designer of the year" (Swedish Elle Deco andthe German Architektur & Wohnen, 2010). 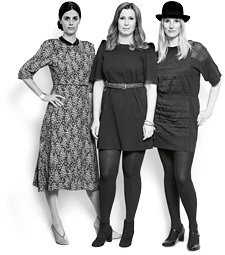 Charlotte von der Lancken, Anna Lindgren and Sofia Lagerquist (left to right).